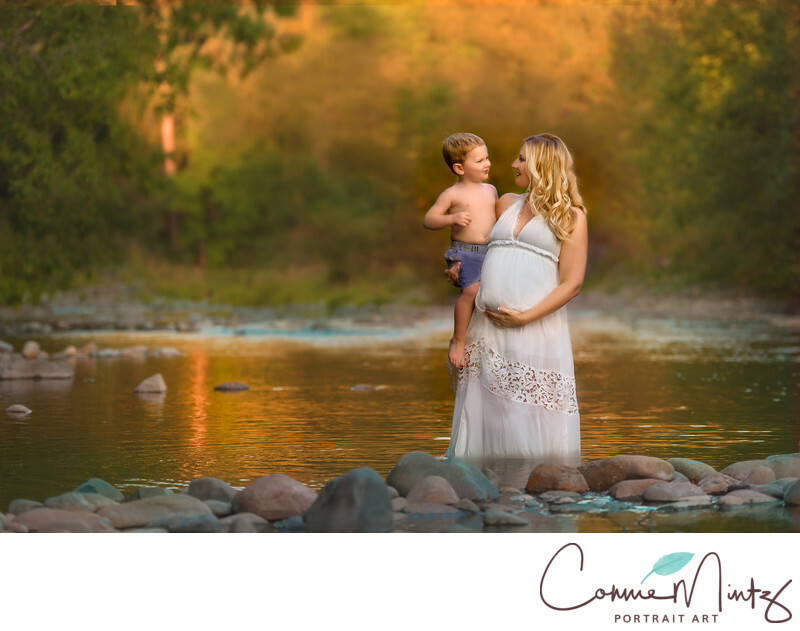 Maternity portraits in the river at sunset are really stunning. The light hits the water and beautiful colors appear. In this portrait, mother and son are getting ready to welcome a new brother soon. I'm so happy I captured this for their happy memories. Keywords: Lewisville Park (42), Lewsiville River (6), maternity (99). 1/400; f/2.8; ISO 250; 112.0 mm.